Bronze antoninianus, 23mm, 3.75gm, issued AD 284/285. Rome mint. Obv: MAGN VRBICA AVG, Diademed, draped bust facing right. Rev: VENVS VICTRIX (KAS in ex. ), Venus standing holding helmet and sceptre. References: Sear 12424, RIC 343. 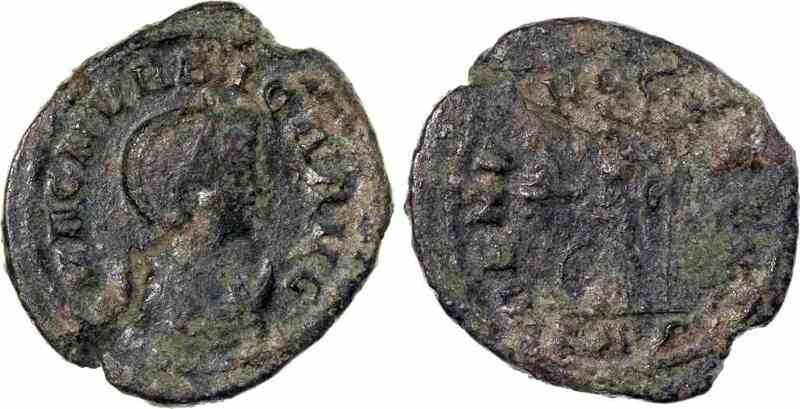 Magna Urbica was the wife of Carinus and one of the few women to have coins issued in her name during the last half of the third century AD.